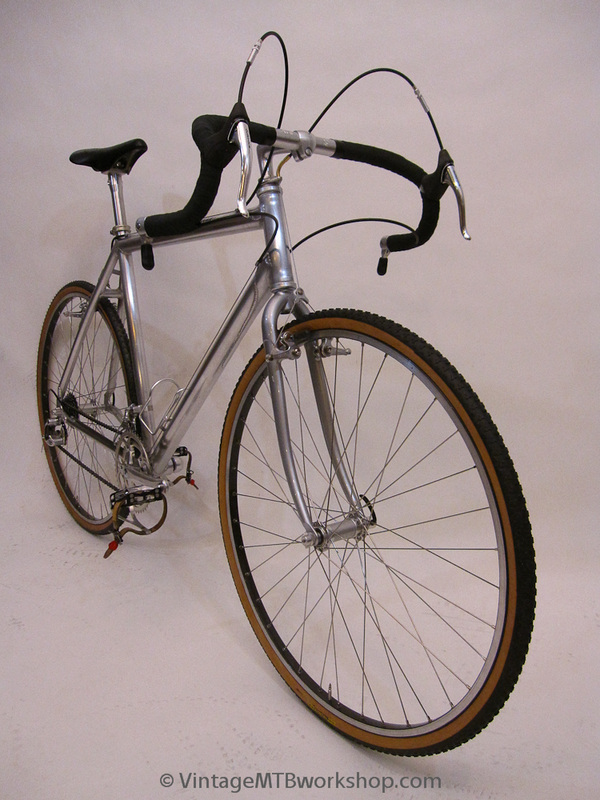 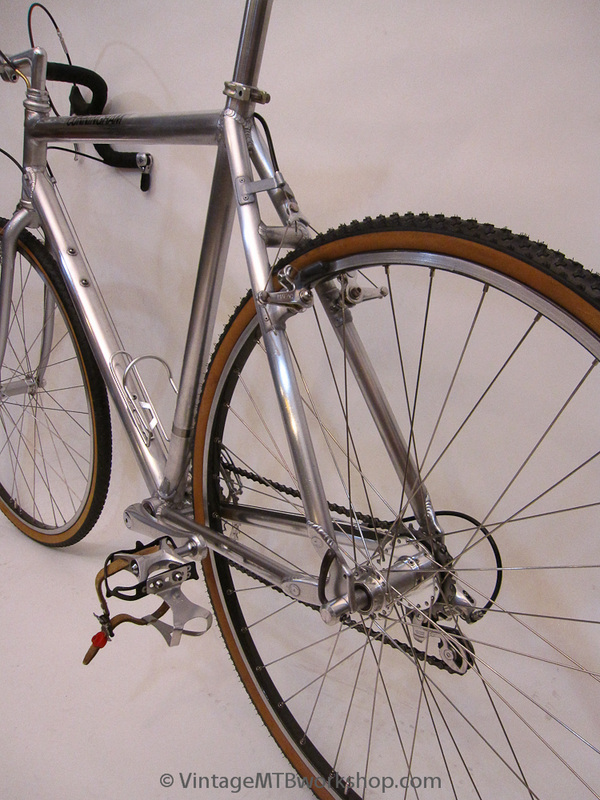 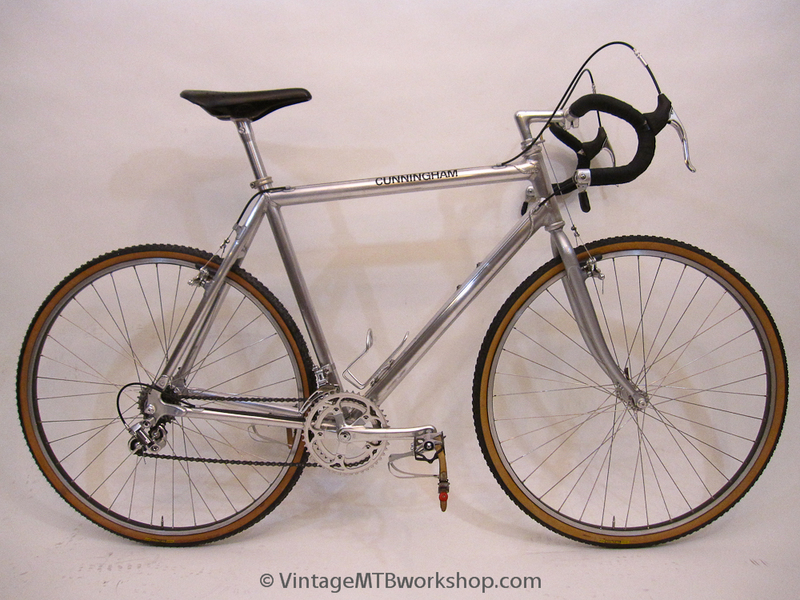 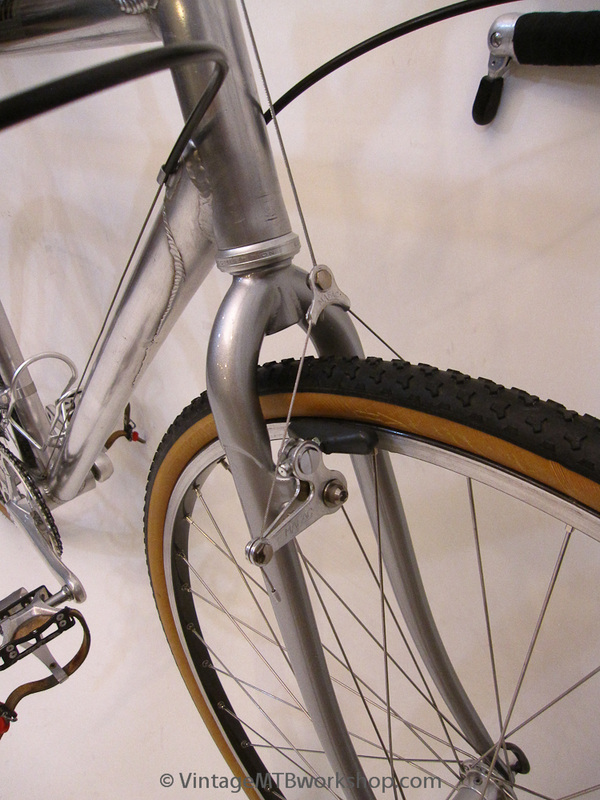 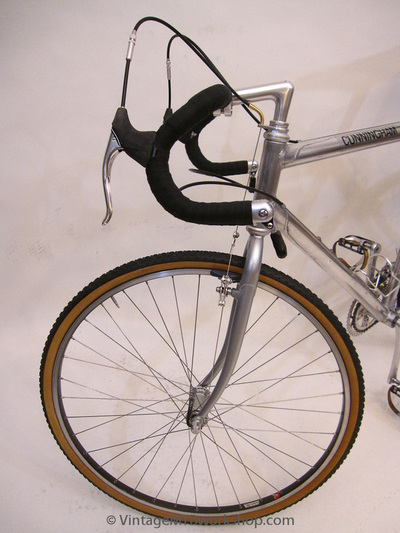 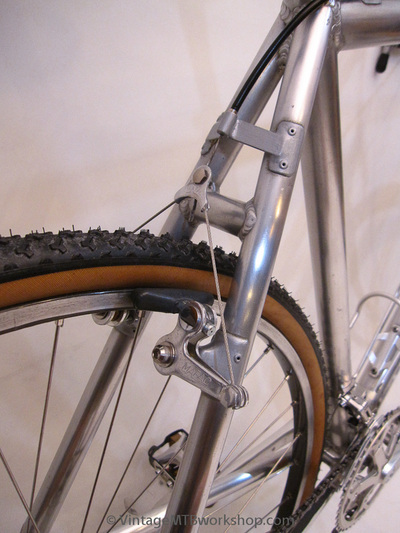 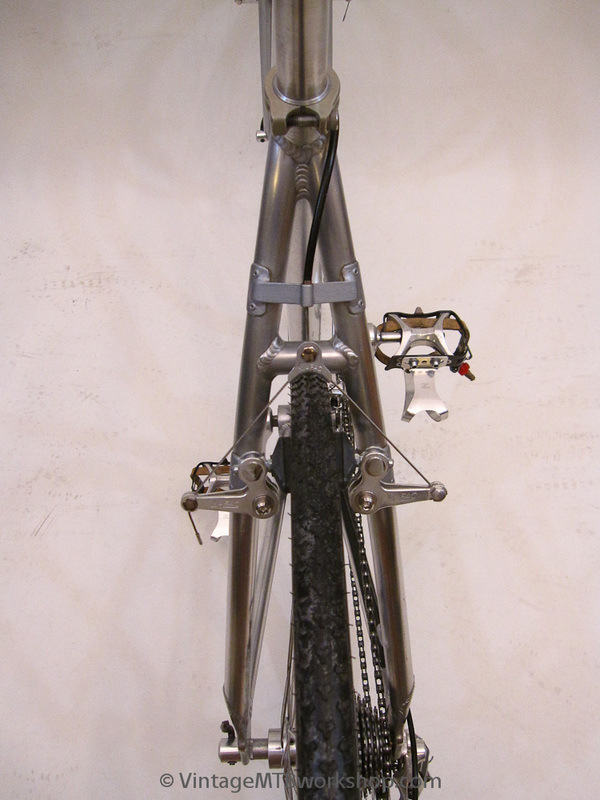 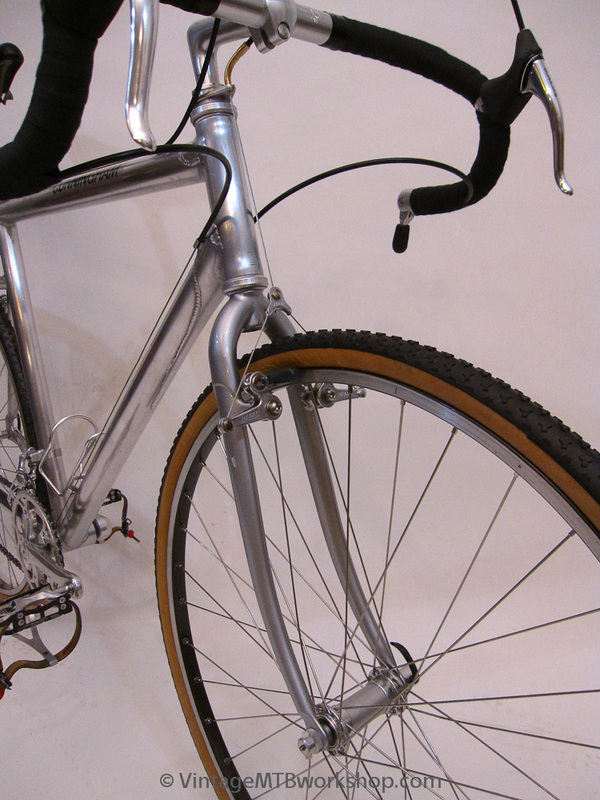 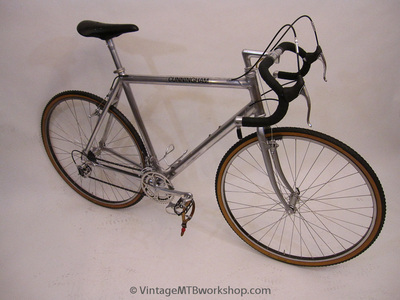 Charlie Cunningham built this cyclocross bike for team rider Todd DeAngelis to compete in a series of races in 1986. 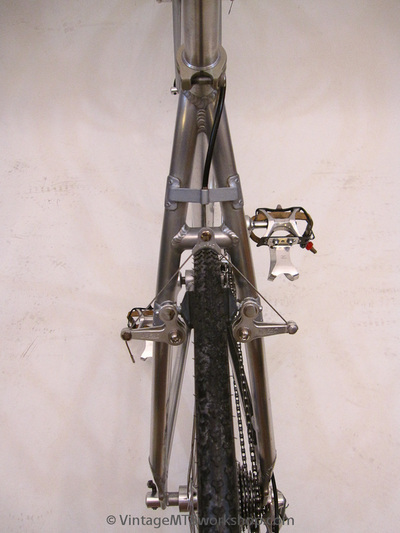 After some racing success, the bike was returned to Charlie and given to team rider Tracy Smith for training and racing. 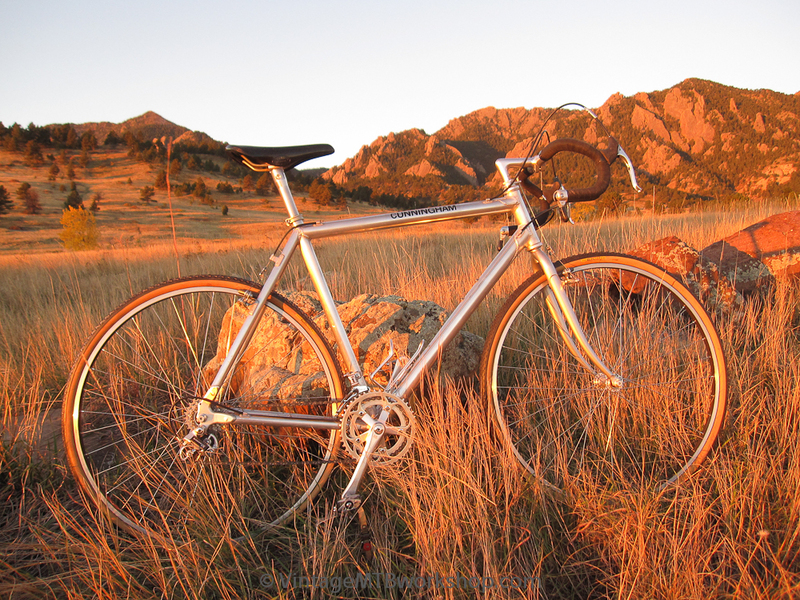 Tracy brought the bike to Crested Butte, Colorado, where it was used for many years for dirt road riding. 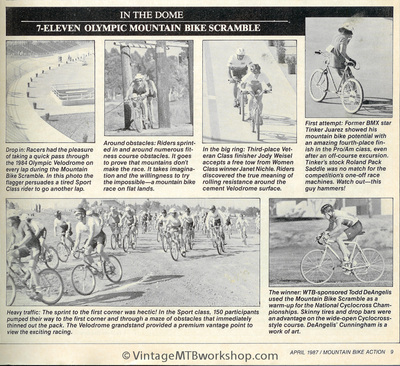 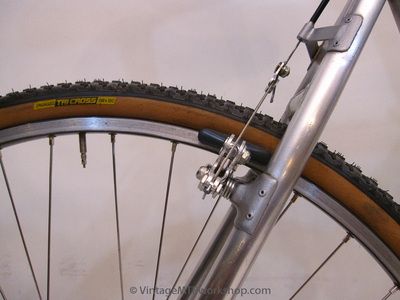 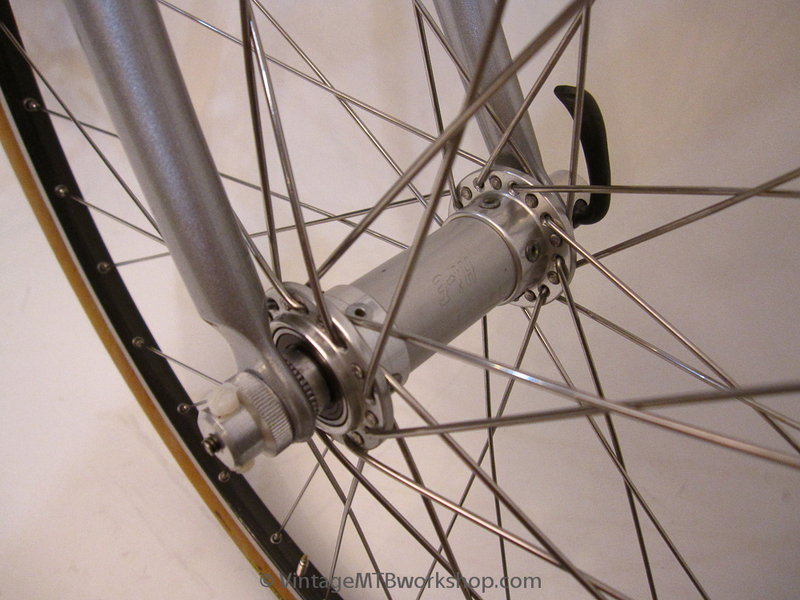 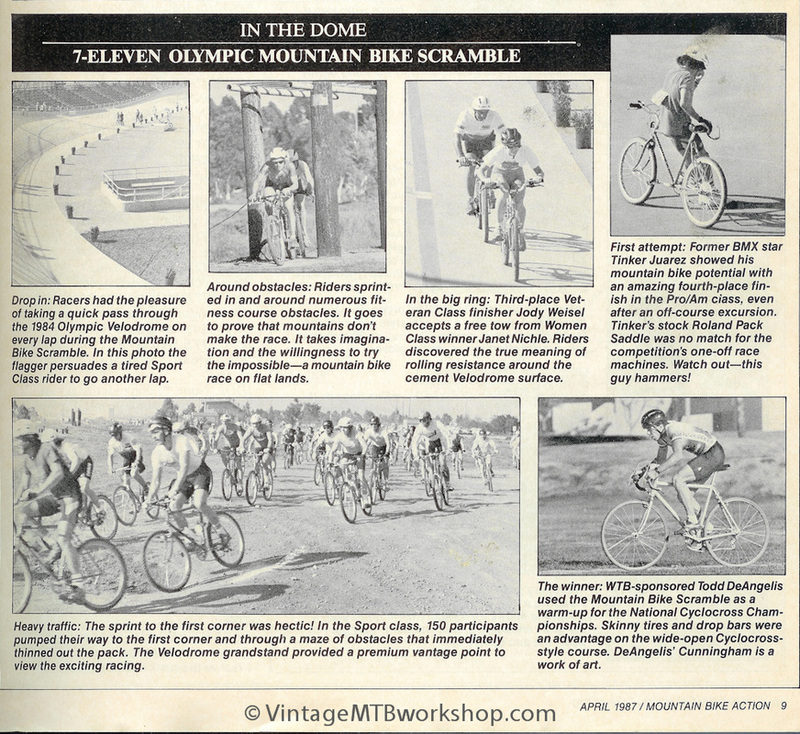 The bike later served as inspiration for pioneers Wes Williams and Don Cook to pursue 29 inch wheels, which started out by outfitting cross bikes with Panaracer Smoke 700c tires. The bike had seen some rough years, but recently the original fork was reunited with the frame and a complete restoration was undertaken. It's safe to say that this was a bike that was way ahead of it's time. 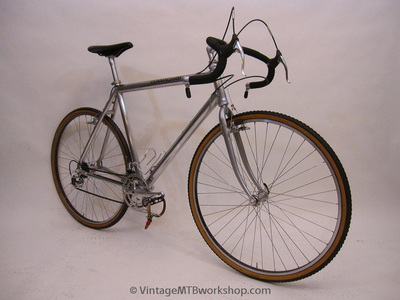 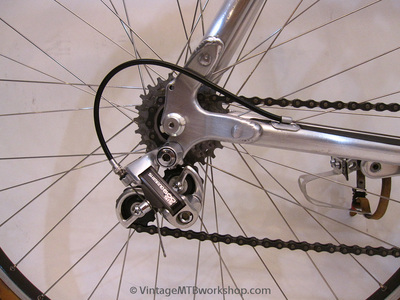 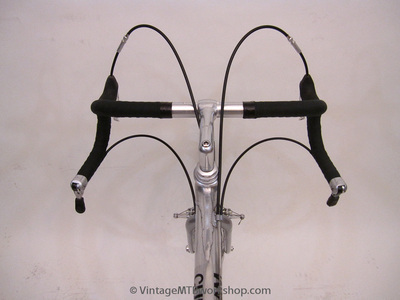 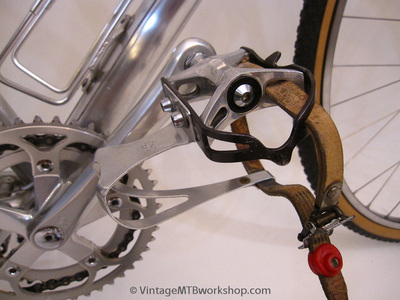 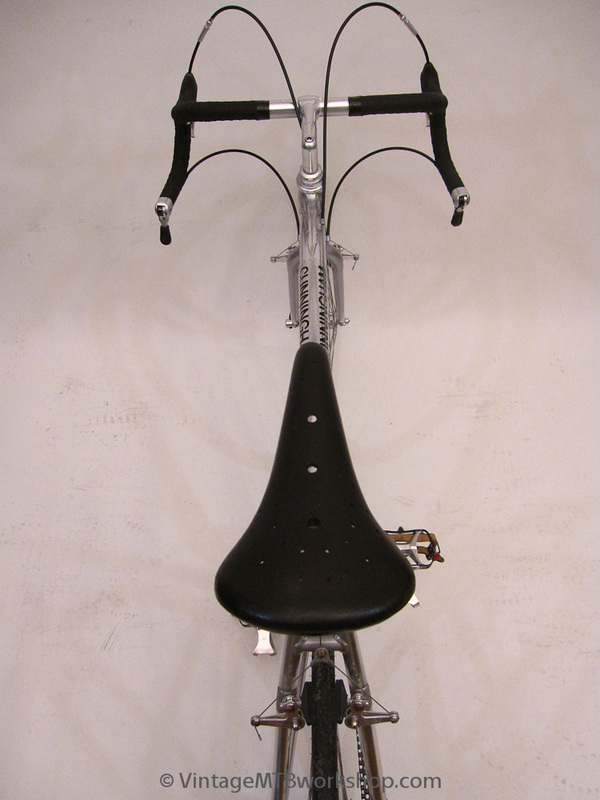 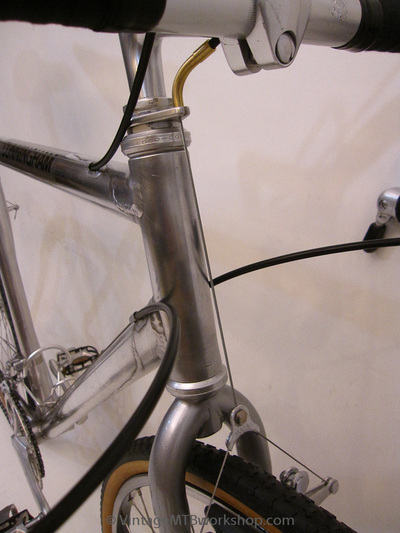 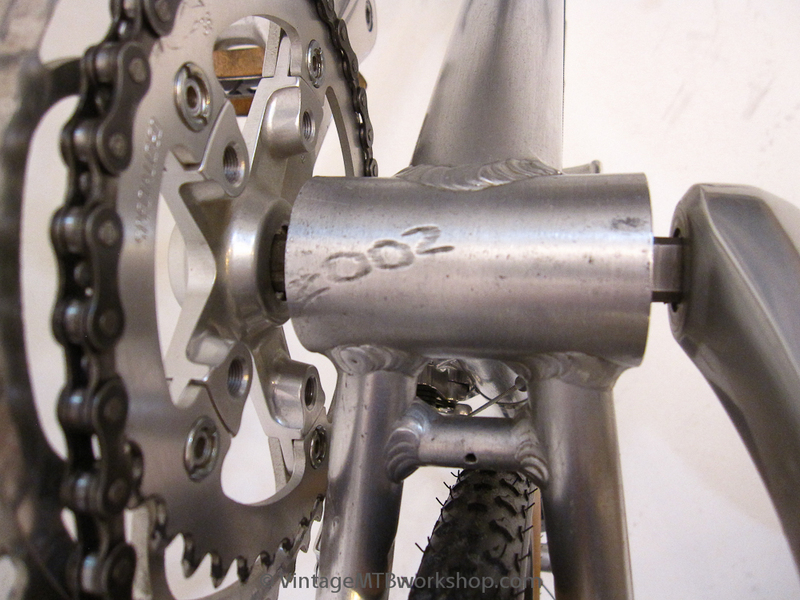 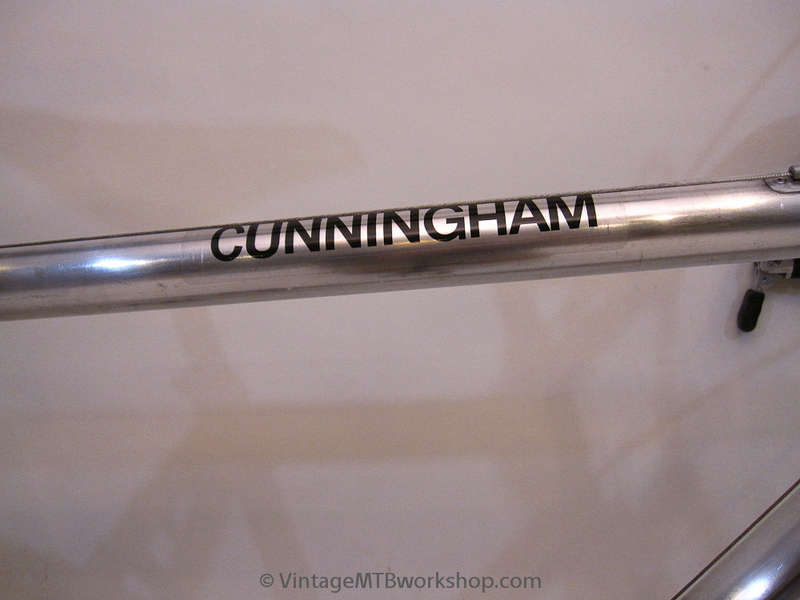 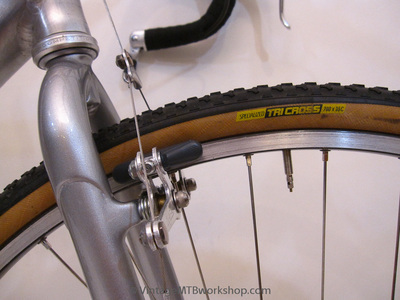 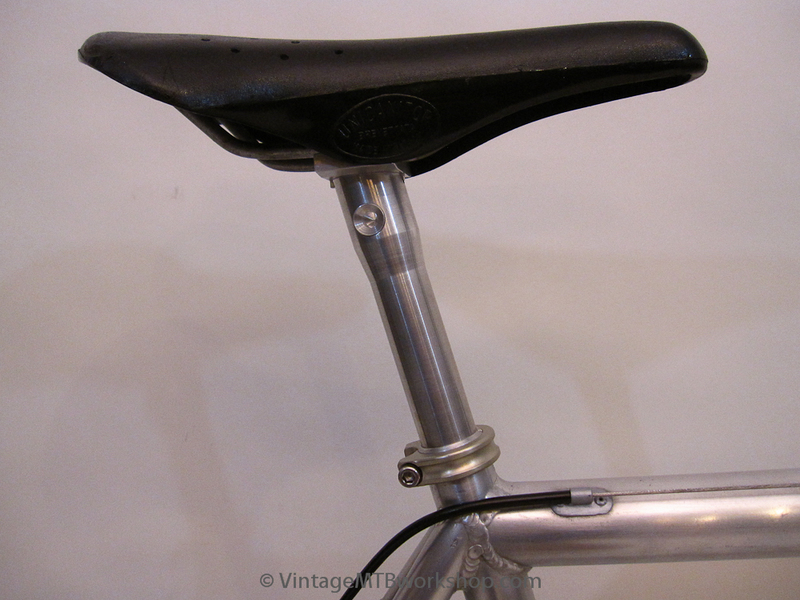 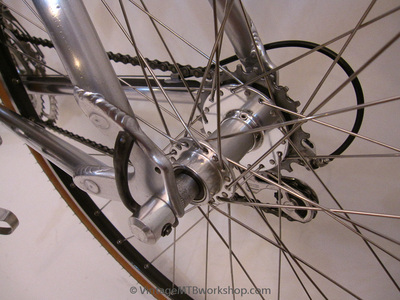 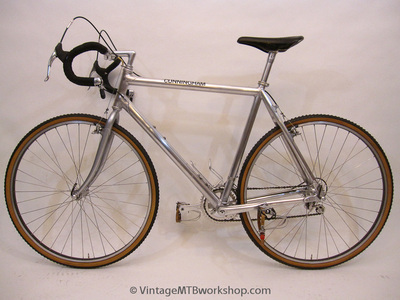 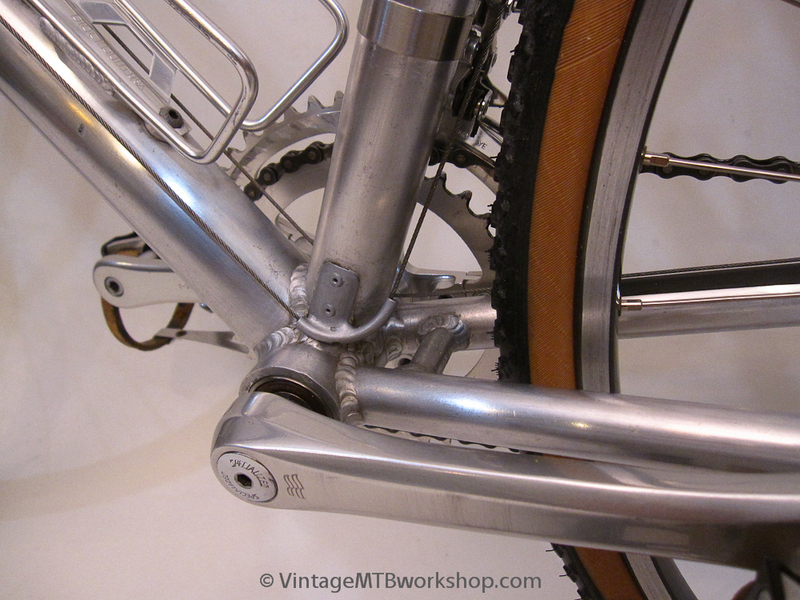 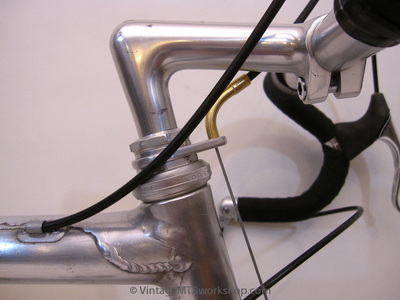 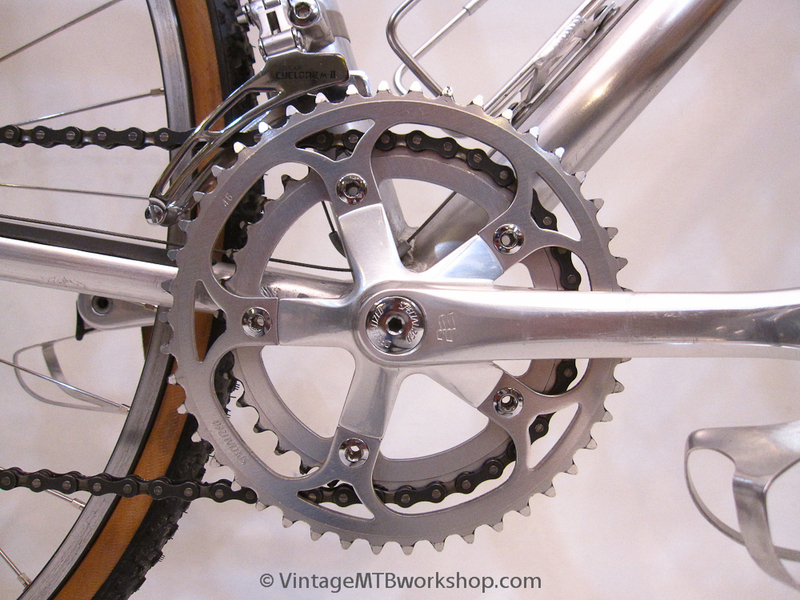 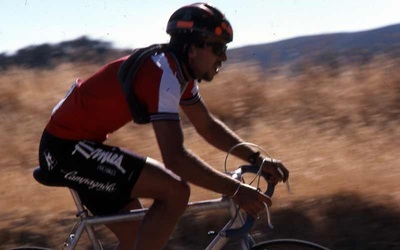 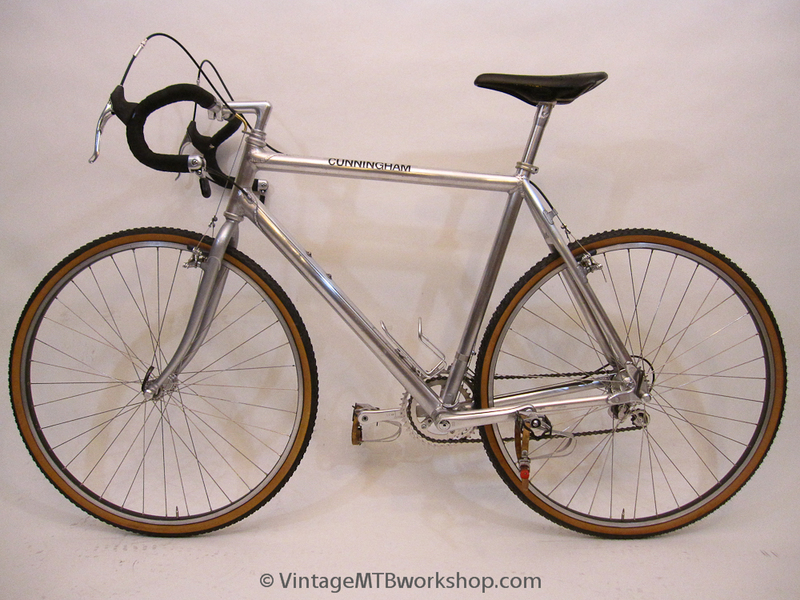 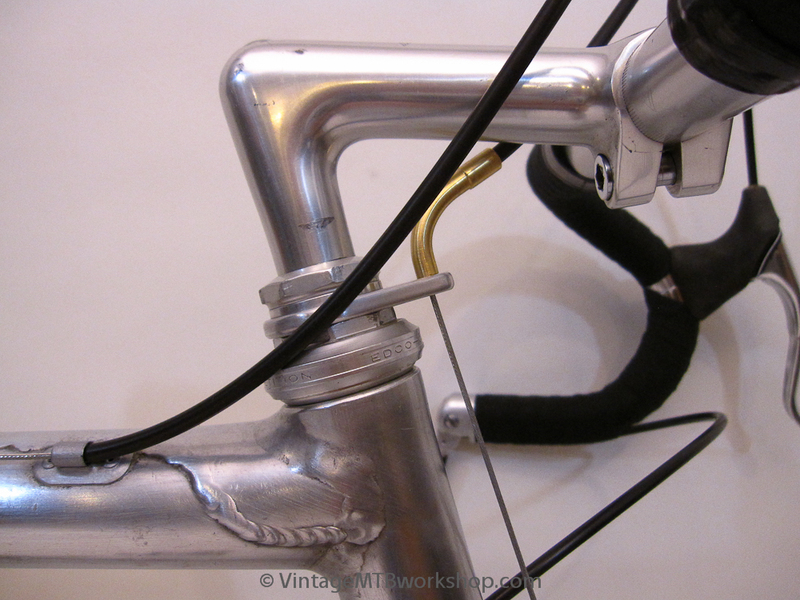 More information about Charlie Cunningham bicycles can be found on the Charlie Cunningham Photo Archive page.